Within the next year, coffee sellers in California could be required to post a cancer warning in their stores. A state list of chemicals with the potential to cause cancer includes acrylamide -- a chemical created when coffee beans are roasted, according to CNN. Under California’s Proposition 65, businesses are required to warn customers if their products contain any of the 65 chemicals associated with obesity, birth defects, or other reproductive issues. 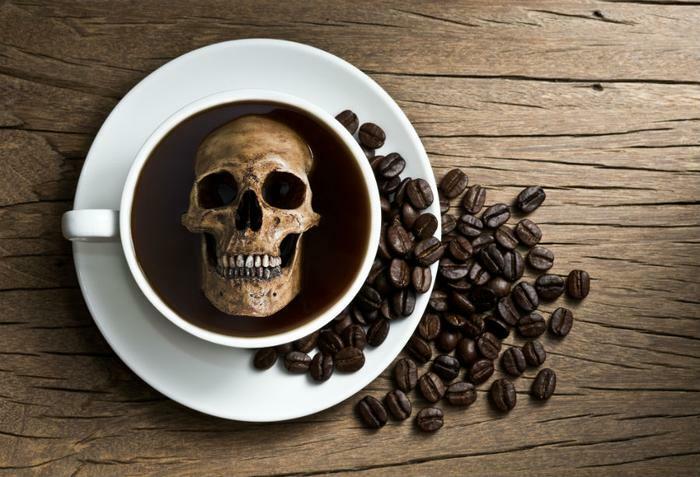 A lawsuit filed in 2010 by the nonprofit Council for Education and Research on Toxics alleged that in failing to give customers a “clear and reasonable warning” about the presence of a possible carcinogen, California coffee sellers are in breach of the law. The suit aimed to get companies like Starbucks and 7-Eleven to post warnings about the chemical acrylamide and its potential to cause cancer. The group’s main goal was to get companies to reduce levels of acrylamide in coffee. "We have a huge cancer epidemic in this country, and about a third of cancers are linked to diet,” said Raphael Metzger, the attorney representing the nonprofit. "To the extent that we can get carcinogens out of the food supply, logically, we can reduce the cancer burden in this country. That's what this is all about." Around 13 companies have agreed to post warning labels on walls or store counters, including 7-Eleven. The nine remaining retailers will try to come to an agreement in a trial set for February 8. The defendants argue that the small amount of acrylamide present in coffee isn’t high enough to increase the risk of cancer. According to the American Cancer Society, acrylamide causes cancer in rats, but only when the rodents were exposed to doses 1,000 to 10,000 times higher than the average human might be exposed to in foods such as potatoes, baked goods, cereal, prune juice, or canned black olives. According to the National Cancer Institute, people are exposed to "substantially more” acrylamide from cigarette smoke than from food. So far, human studies have found “no consistent evidence that dietary acrylamide exposure is associated with the risk of any type of cancer.” However, more studies are needed to help determine the chemical’s relationship with human cancer risk.